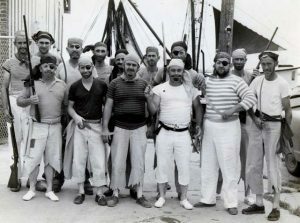 The first reenactment of the invasion of Beaufort took place in July 1960. Beaufort is an historic seaside town located on North Carolina’s Crystal Coast at the southern tip of the Outer Banks. Visitors will delight in all the area has to offer, from fishing and golf to beaches and boating. In addition to the Pirate Invasion, with a host of restaurants, shops, and quaint accommodations, you’re sure to thoroughly enjoy your time in Beaufort. Visit the official website for North Carolina’s Crystal Coast for a complete listing of local accommodations, businesses, and attractions. 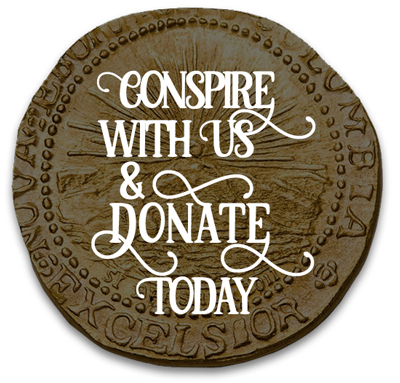 Come stay at some of our favorite places on the Crystal Coast and play pirate with us! 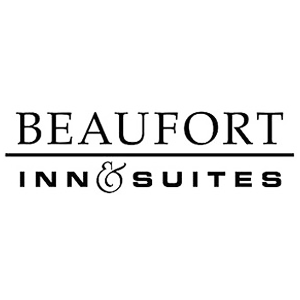 Beaufort Inn is the perfect place to relax in historic Beaufort. We are located right on the water and in the heart of the historic district. Easy walk to all Invasion venues! 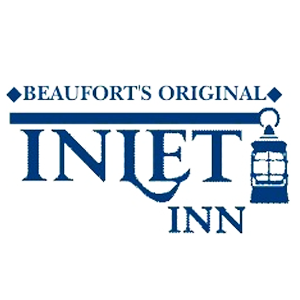 If you are looking for a quiet and comfortable Inn that offers the privacy of a hotel but with the amenities, charm and service of a bed and breakfast, and you want the best view in Beaufort, this is the place for you. Located in the center of all Invasion action! Our suites feature fully equipped kitchens including a full-size refrigerator with ice make, dishwasher, microwave and stovetop. Each suite has a queen size bed, a pull out queen sleeper sofa, cable and internet services. We also offer three pet friendly rooms and one handicap room. We offer everything you need to enjoy your stay and relax in one of our 16 spacious suites. 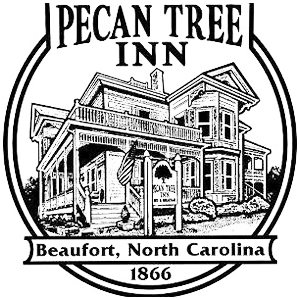 Built around 1866, the stately Pecan Tree Inn is located in the heart of the beautiful Beaufort Historic District and is known throughout the Southeast as the place to stay for shoreside accommodations in Beaufort. Relax in one of our seven elegant, handsomely furnished and decorated private guest rooms, with it’s own private bath. The Holiday Inn Express® & Suites Morehead City is located right off Highway 70 perfectly situated for a leisure or business stay. We are just a short drive to enjoy the beautiful Crystal Coast. Relax in our outdoor pool or work out in our fitness center and enjoy our complimentary, hot Express Start Breakfast Bar for a great beginning to your day with our signature cinnamon rolls. The Hampton Inn offers 118 guest rooms and suites, waterviews, and a large pool and patio. Ammenities include free high-speed internet, hot breakfast, and use of the fitness center. A short drive to the Invasion as well as to the beaches along the Crystal Coast! Stay, play and explore the waterway at Palm Suites – located in Atlantic Beach on the Bogue Sound. Palm Suites is the perfect location for your trip to the Crystal Coast. Convenient to fishing, shopping, kayaking and some of Carteret Counties best restaurants. Palm Suites gives you hotel-style affordability with beach cottage conveniences – each suite including a refrigerator, microwave and coffee maker. Each suite is individually owned, furnished and decorated – some offering a living space separated from your sleeping area, while others focus on your sleeping needs. 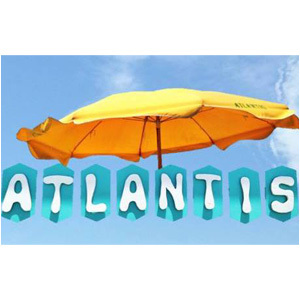 The Atlantis is a premier oceanfront hotel located in the middle of a maritime forest directly on the Atlantic Ocean. We are a small, pet friendly, family oriented lodge that prides itself in preserving the environment around us. We are not an ordinary motel in an ordinary place, but a very special place on the Crystal Coast.